Want to increase case volume in valuable service lines? Building physician loyalty through frequent, meaningful communication is the key to getting more referrals. But as health systems grow larger, maintaining regular communication becomes difficult. 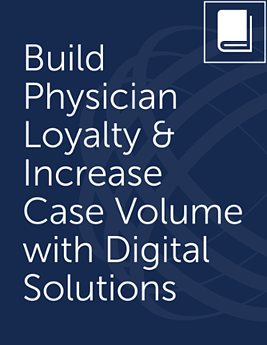 Our ebook, Build Physician Loyalty and Increase Case Volume with Digital Solutions, explains how targeted email provides a fast, flexible, and cost-effective way to keep physicians engaged with your health system brand. Health system marketers already know how to interact with consumers digitally. It’s time to apply this expertise to physician outreach too. Download the ebook today and discover why email is best for physician outreach.